Club athletes distinguished themselves in a number of road races in 2015, but two races in particular stand out. On April 26 in Victoria, three WAC women went sub 40 minutes in the TC 10 km. Mirelle Martens led the way for the locals with a 36:39 clocking while Jackie Benning (39:37 ) and Amanda Patteson (39:57 ) also averaged sub-4 minutes for 10 consecutive kilometres. In February, March, and April, Club members were named winners of a number of provincial and regional awards. 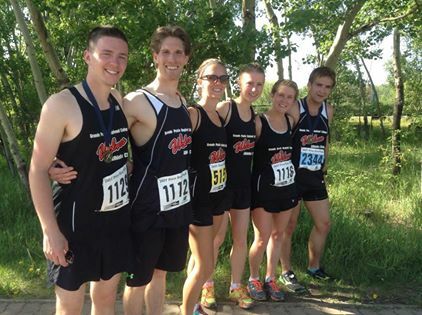 In February, Bill Corcoran was named 2014 Athletics Alberta Volunteer of the Year and Mirelle Martens was awarded 2014 Athletics Alberta Junior Women’s XC Runners of the Year. 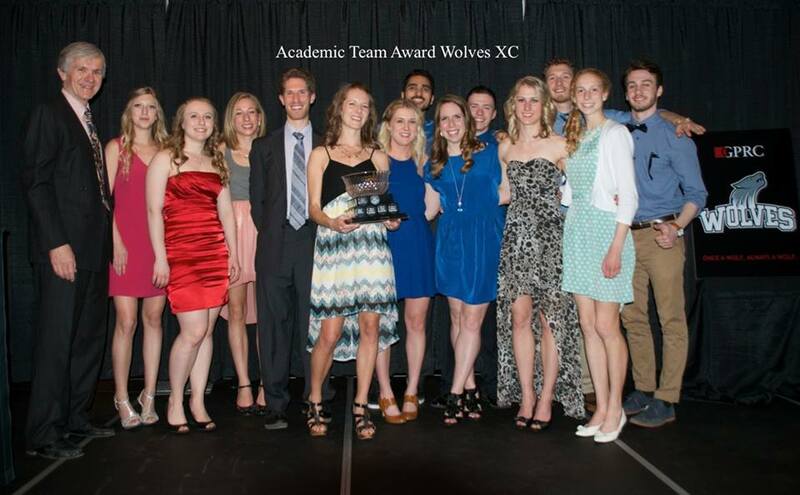 At the NW Alberta Sport Development Centre Banquet in March, Martens was named Female Athlete of the Year, Corcoran won the High Performance Coach of the Year, and the GPRC Women’s XC team was awarded the Female Team of the Year. At the GPRC Festival of Gold Awards Banquet in April, Martens captured the GPRC Female Athlete of the Year and the Cross Country team topped the table for the highest Academic Average. The ACAC also honoured Martens as the 2014-15 Female Athlete of the Year in All Sports. WAC high schoolers had a great year in 2015. 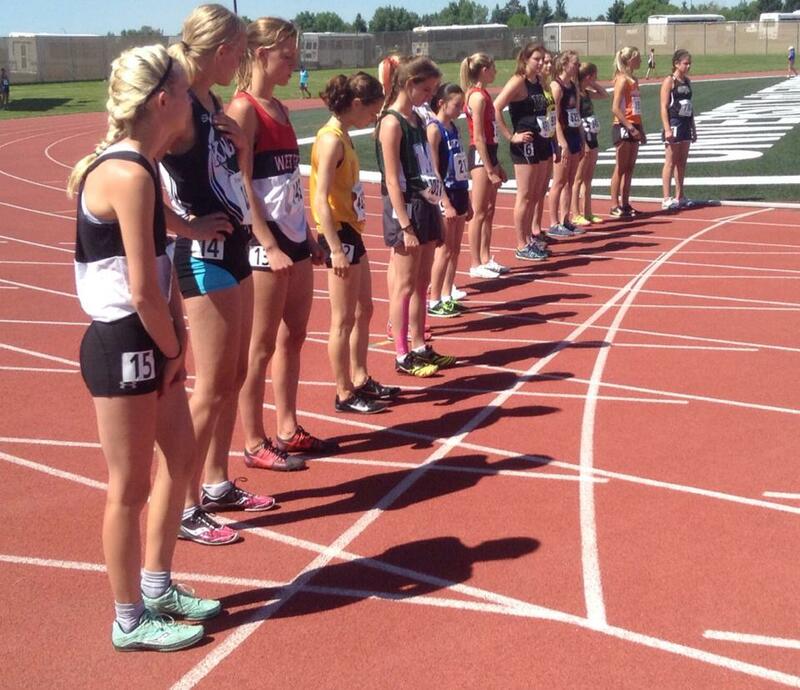 The dynamic duo of Kailey Bratland and Brittany Duvall recorded their best-ever provincials finishes at the 2015 ASAA High School Track and Field Championships in Lethbridge in June. Kailey recorded a time of 11:29 in the 3000m for fifth, while Brit also finished fifth, clocking 2:27 for the 800m. The pair also placed seventh (Brit) and eighth (Kailey) in the 15000m at Provincials. 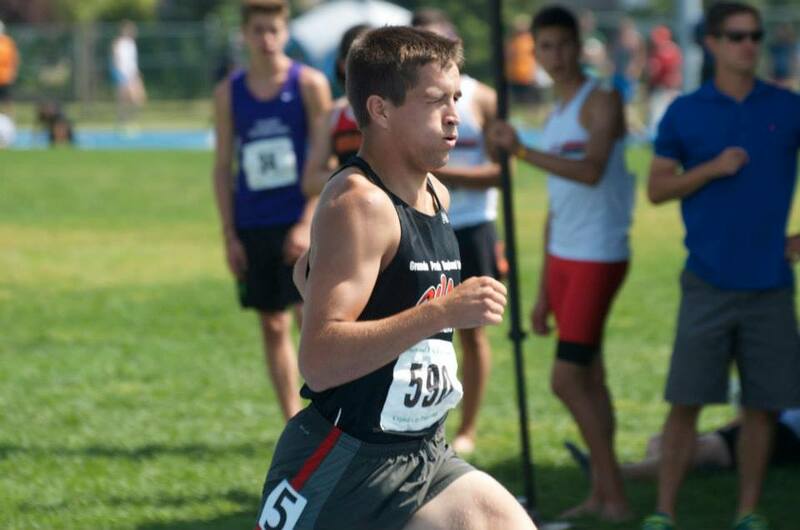 The Athletics Canada Junior and Senior National Track and Field Championships took place in Edmonton in early July, and a Club record four athletes took part in the national meet. Mirelle Martens had the best result, winning a bronze medal in Junior Women’s 5000m. 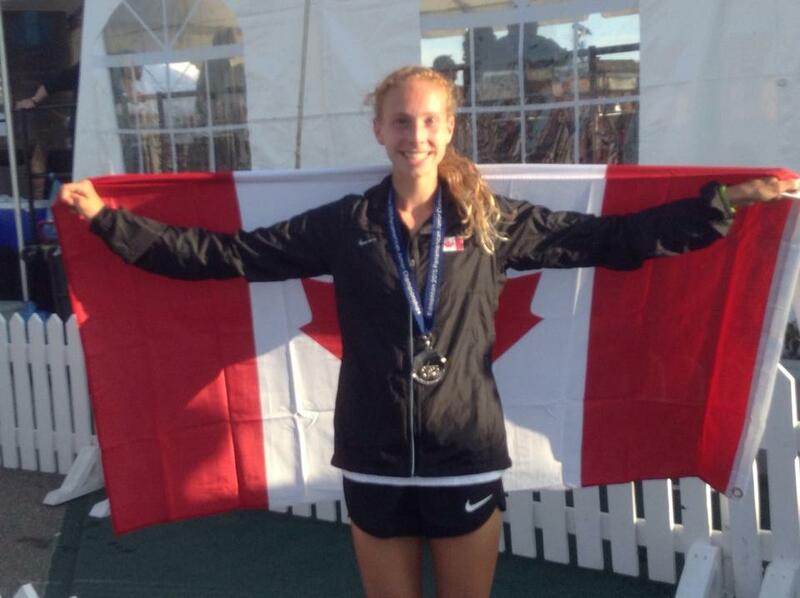 Martens also placed 8th in the Junior Women’s 3000m. In the Senior meet, Jamie Wigmore and Jess Baraskewich contested the Women’s 800m. Both exited the competition in Round 1; Wigmore placed 27th overall, while Baraskewich was 28th. Hayden Hollowell also took part in the meet, placing 27th in the Men’s 1500m. Well, the individual results weren’t as good as they had hoped for, but Mirelle Martens and former WAC athlete Fiona Benson got some great international experience in February and March as members of Team Canada. In February, the pair were in Colombia for the 2015 Pan Am Cross Country Running Championships. 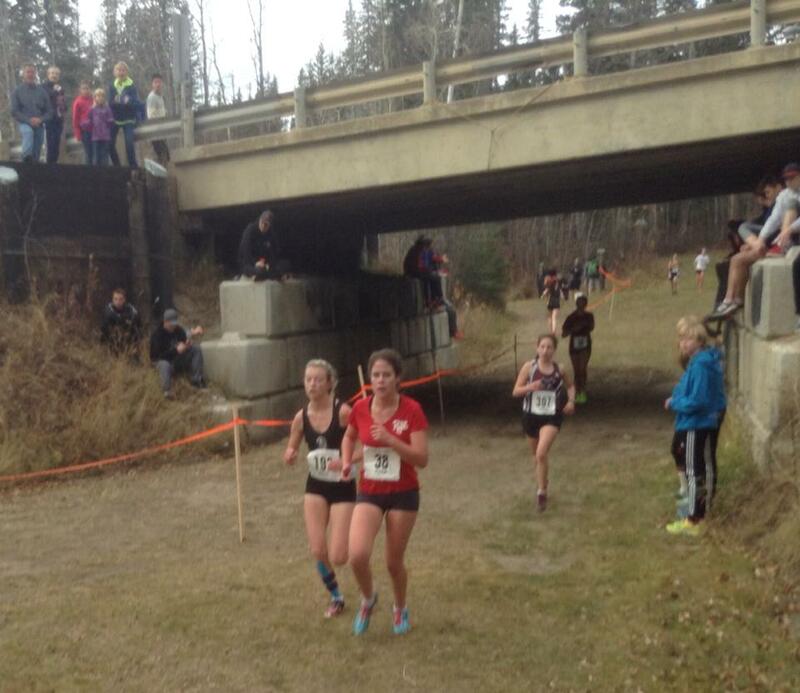 Martens placed 24th in the Junior Women’s 5 km, while Benson was 13th in the Senior Women’s 6 km event. Both athletes received team medals, as Canada won the Junior Women’s race and was second in the Senior Women’s run. A month later, the pair again donned Team Canada gear and contested the 2015 IAAF World Cross Country Championships in China. Both ladies had tough days. 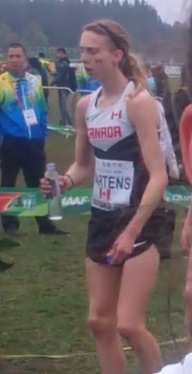 Martens started too fast, fading from 50th in 94th in the last lap of the 6 km course. 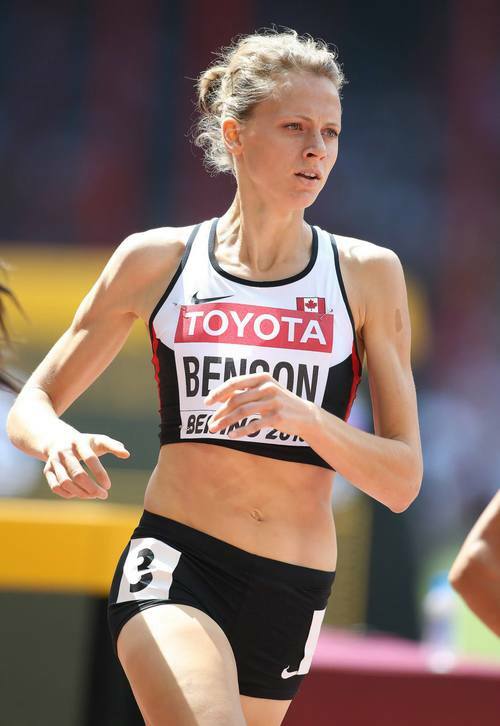 Benson’s race followed a similar pattern; she ended up 68th in Senior Women’s 8 km. 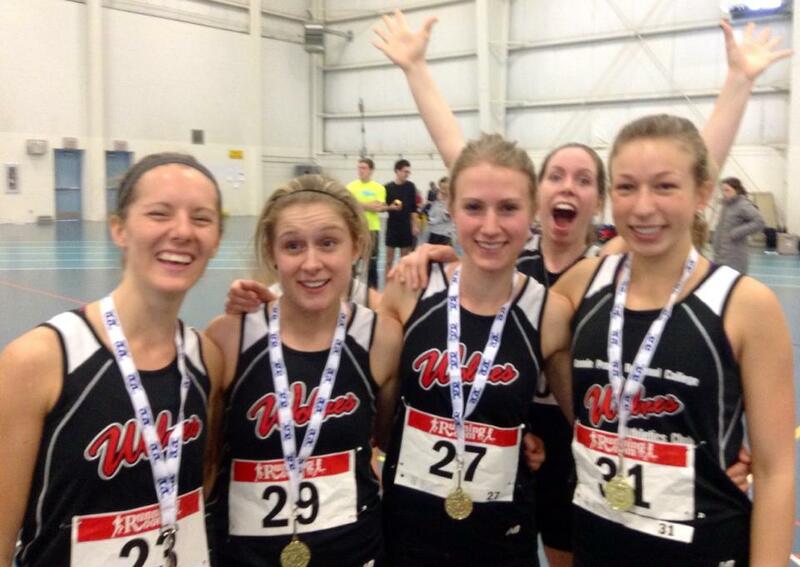 In Fall 2014, the GPRC women dominated both the ACAC and CCAA Cross Country Championships in a record-setting fashion. In the team’s final college competition, the 2015 ACAC Indoor Track Championship in Edmonton, the team was equally as impressive. The Wolves women won 5 out of 6 races and set a new record in the 4 x 400m relay. Individual medalist included Jamie Wigmore (2 gold, 1 bronze), Mirelle Martens (2 gold) and Jackie Benning (2 silver). Wigmore, Benning, Amanda Patteson, and Kirstin Manz combined to win the relay gold. In 2005, the Wapiti Nordic Ski Trails hosted the ASAA Provincial High School XC Running Championships for the first time. Ten years later in October of this year, it was time for the re-match. 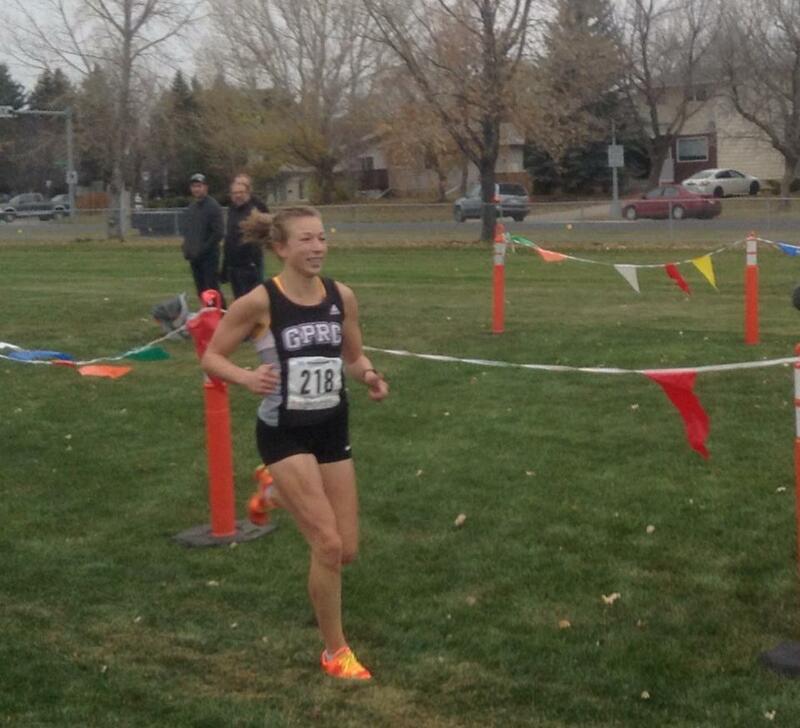 Fourth-year runner Jamie Wigmore returned to GPRC for a final season with some lofty goals. After finishing second in the past two ACAC Championships and fourth in the 2014 CCAA Championships, Wigmore set her sights on top spot in the province and a national podium spot. In her opening xc race in September, Jamie lost to Lethbridge College’s Emily Lucas, but that would be the last time before November that Wigmore would be bested by another college runner. She won her next four college races, including a huge 30 second victory in the 2015 ACAC Cross Country Running Championships in Lethbridge. Wigmore’s ACAC Championships victory was only the third-ever individual title by a Wolves female athlete. At the 2015 CCAA Cross Country Running Championships in Brockville, ON in November, Wigmore and 2014 silver medalist Jessy Lacourse from Quebec separated themselves from the pack after 3.5 kms of the soggy 5 km course. Lacourse proved to be slightly stronger over the last 800m and notched the victory, 10 seconds ahead of Wigmore. Redemption is one of the sweetest feelings in sports. Mirelle Martens experienced that feeling in spades at the 2015 Pan Am Junior Track and Field Championships in Edmonton at the end of July. After missing out on qualifying for Team Canada in the 5000m at Nationals by one place, Martens managed to secure a “roll down” spot in the Pan Ams in her secondary event, the 3000, despite only placing 8th at Nationals. Eager to prove that she belonged, Mirelle produced her best-ever track performance at Pan Ams, stopping the clock at 9:41, a scant 3.5 seconds shy of the gold medal. In the process, she defeated both Canadian Junior 5000m champion Anne Marie Comeau and Peru’s Saida Meneses, the 2015 Pan Am Cross Country Running Champion, who finished 23 places better than Martens the last time the two raced. Well it’s a bit of a cheat given that Fiona Benson hasn’t been a Club member since 2011, but, darn it, we’re climbing on the bandwagon for 2015. The 23 year old runner from Tom’s Lake had a breakthrough track season where she demolished her 800m PR by 8+ seconds and became only the fifth-ever Canadian women to break the magic 2 minute barrier. She also captured the Canadian Championship at 800m and was a semi-finalist in the World Championships in Beijing, China. In addition, Fiona achieved Olympic qualifying times in both the 800m and 1500m. She ended the year ranked #1 in Canada in both the 1500m and mile, and #2 in the 800m. On the 2015 world list, she finished #10 in the mile, #30 in the 1500m, and #41 in in the 800m. It was really fun to watch Fiona crush it on the world stage this year. We look forward to 2016 and hope to see her become the first-ever Peace Country track athlete to compete in the Olympic Games.